Item - Belleville Invites You! The Town of Belleville, Ontario was incorporated effective January 1, 1850 under the terms of the Baldwin Act, Chapter 81, Canada Statutes, 1849. The town became a City in 1878. In 1998 it amalgamated with the surrounding Township of Thurlow. 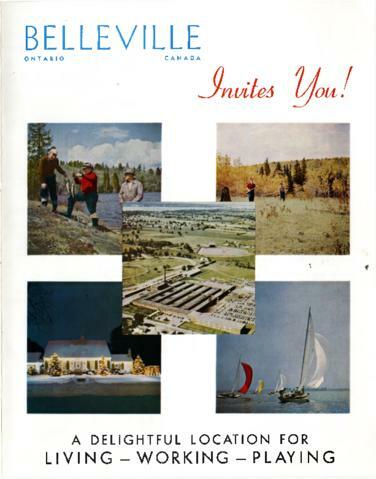 Flyer produced by the City of Belleville to encourage new industries to locate in Belleville, Ontario.